My favorite stroy was about a magic typewriter, hidden in a secret compartment inside the wall (I used to spend HOURS looking for it). Everything you type on it with the words: “I wish” at the beginning, comes true. You could write short sentences such as ‘I wish I had ice-cream with hot chocolate sauce…‘ and immediately enjoy the treat, or you may materialize imaginary worlds, built from scratch with the power of your words (These were my favorite types of stories). In crafts, as in creative writing or story telling, you may build imaginary worlds from scratch and go as far as your imagination and creativity go. Go ahead and build a scene. 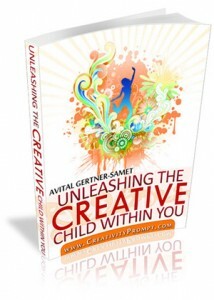 Let your inner creative child guide you through the labyrinth of your vast imagination. 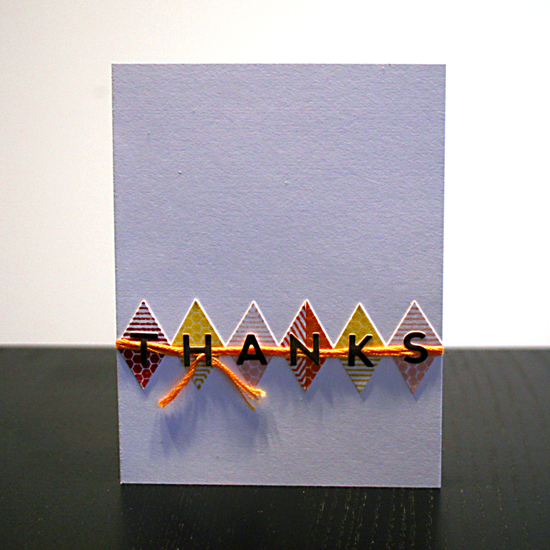 Adhere a vintage text paper onto a plain, non-textured cardstock using glue stick. 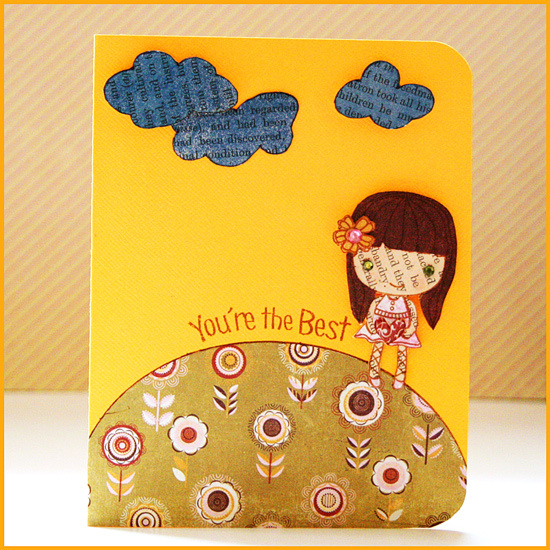 Stamp your image a few times on different patterned papers, including on the vintage text paper. 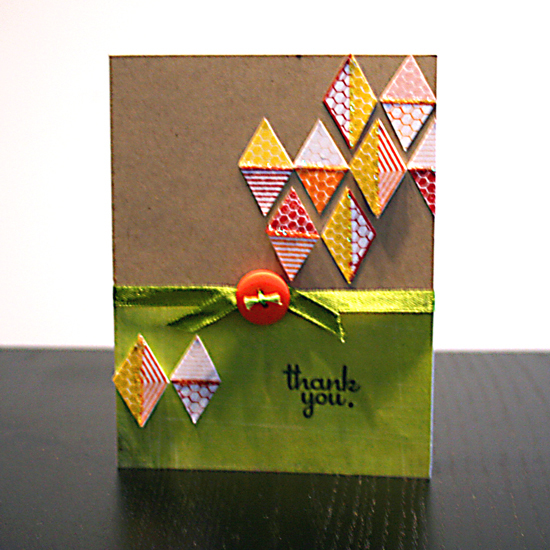 Use as many patterned papers as the number of pieces you want to combine together. Cut each piece of your image with precision scissors. Start assembling the “scene”: Adhere the “flat” pieces with a glue pen and the dimensional pieces with foam dots. 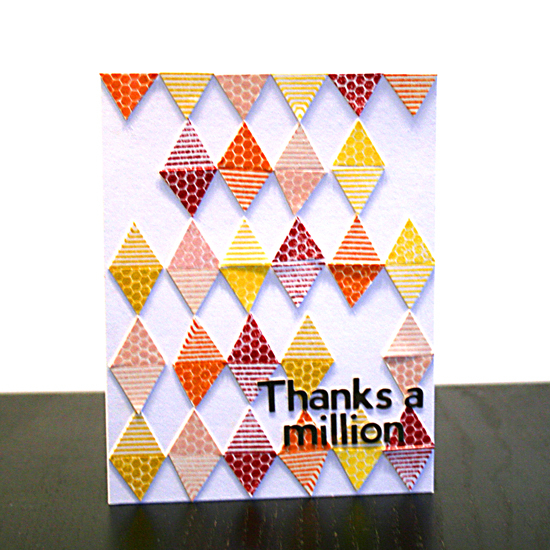 For the “hill” – cut a piece of patterned paper in a curve. 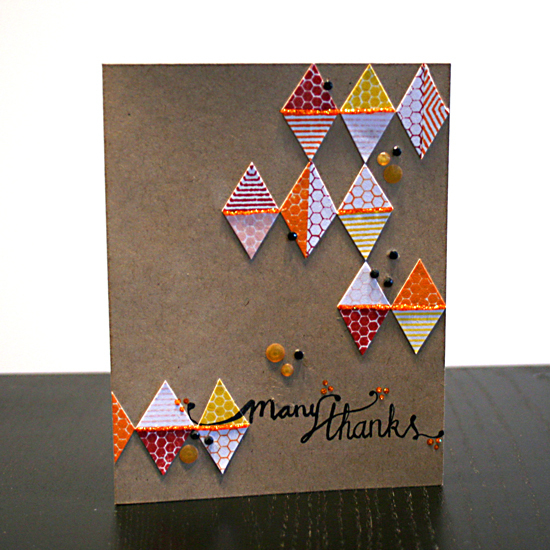 Draw some freehand clouds on your leftover text paper and cut the out with precision scissors. Spritz your “clouds” with Glimmer Mist. Stamp or punch the little heart on a reddish patterned paper. Apply some Glossy Accent. Let dry and cut out. Adhere to the image with a foam dot. Stamp the greeting in a curve, by laying it that way on the acrylic block. Add some gems for the finishing touches. Check out Creativity Prompt’s self paced workshop: “Capture Your Dream”. In this workshop you will capture, follow and make your dream come true as well as document your journey in a mixed media mini album.